All we need to do to create a comforting, lovely bedroom giving us relaxing hours, is to pay attention to the decoration and arrangement of the room. 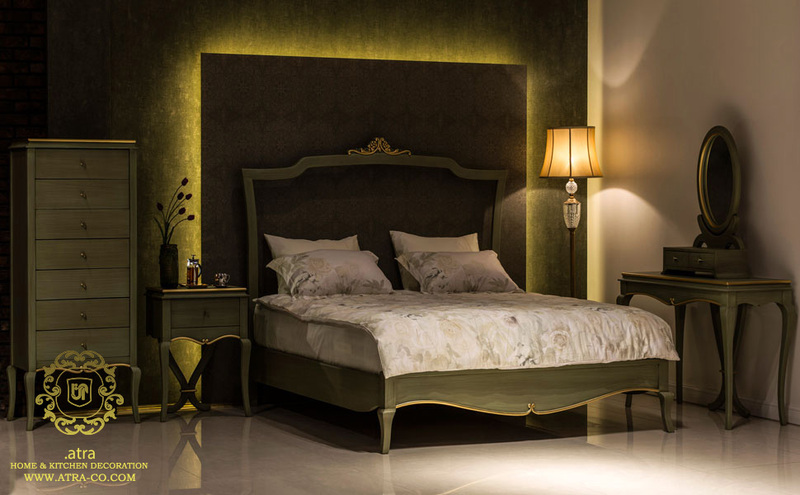 This beautiful bed set with a gentle, relaxing color is made of rasch. The Italian polyurethane dye has made this decoration matt and special. This set consists of a double sided bed, two footstools, drawer, toilet table and a seven-drawer wardrobe, making it one of the most complete bedroom decoration sets. The subtlety, gentle color and brown handmade grooves make this model more appealing. The joy of waking up in a dingy, beautiful room and spending a lively day are things to consider when designing the bedroom decoration.